As the clouds waft away and the sun comes out (hopefully), we all think about getting our bicycle out of the shed and getting some air. Lots of people cycle to work to avoid sitting in a hot car or braving public transport. It's also a good way to save money and get fit. Unfortunately, bicycles are a prime target for thieves with a bike being stolen every minute. Most of these thefts go unreported as people don't believe that the police are particularly interested in missing bikes. If you want a bike purely for commuting, then consider a second-hand one. These are less attractive to thieves and are often very cheap to buy. Register your bike's make, model and frame number as soon as you get it. This will make it easier to identify if it is stolen. Use an ACPO-approved marking scheme to security mark your bicycle. These marks are difficult to remove and will allow you to prove ownership. Invest in a good cycle lock that renders your bike almost immoveable when attached. It should be able to lock both wheels and the frame to a permanent structure. Never park your bike in the same place each day and leave it somewhere it can be seen in a well-lit area. Take all removable fittings, such as lights and water bottles with you. Don't rest the lock on the ground as it could be easily smashed open by thieves. Consider buying a Brompton bicycle which you can keep under your desk or in a locker. When not in use, make sure your bike is in a secure shed, garage or inside your home. 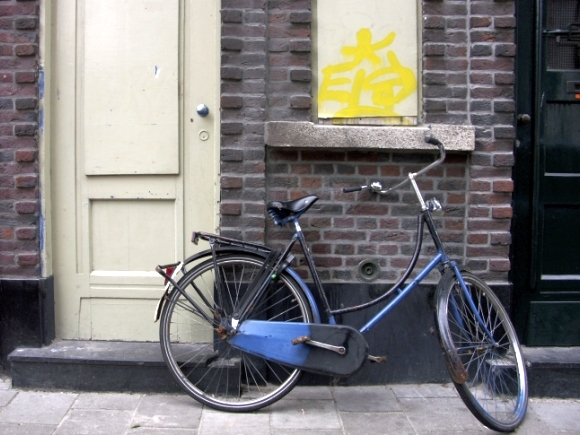 Invest in a good insurance policy that will cover you against cycle theft and damage. If your bike is damaged or stolen it can be a very emotional time so it's important to have a comprehensive insurance policy to cover you if something does happen. It's also important to report the theft to the police as soon as possible so that you have a crime number, as this may be required if you wish to claim on your insurance policy. When choosing your insurance, it's important to understand the different options and types of cover. For example, some home insurance policies will cover your bicycle as part of your contents insurance, provided that it is kept on your property in a securely locked shed. They may also offer optional extra cover if you and your bicycle are often away from home.